There’s just something a little special about frying up your own golden Homemade Corn Dogs. Well, compared to buying them in the freezer section. That’s not putting the love into it, now is it? 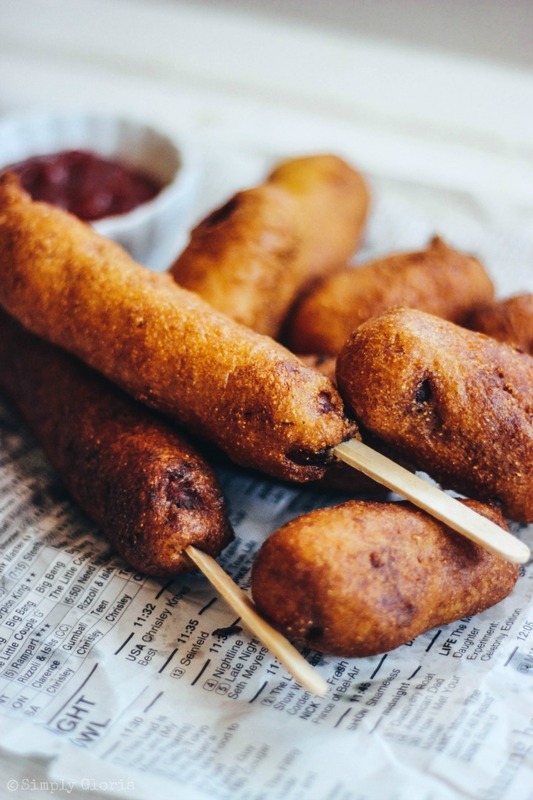 For one reason, homemade style corn dogs go beyond the expectations of your corn dog taste buds… indulged with the decadent taste of a crispy batter-dipped hot dog! 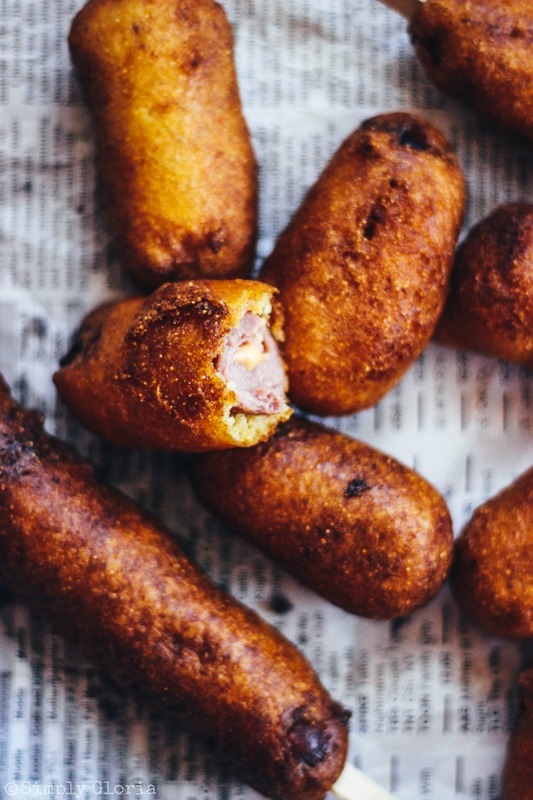 Well, if you’re used to that kind of taste… be careful, these Homemade Corn Dogs will blow. your. mind. It’s really nothing fancy or to make a fuss about. But, really. These are pretty amazing. 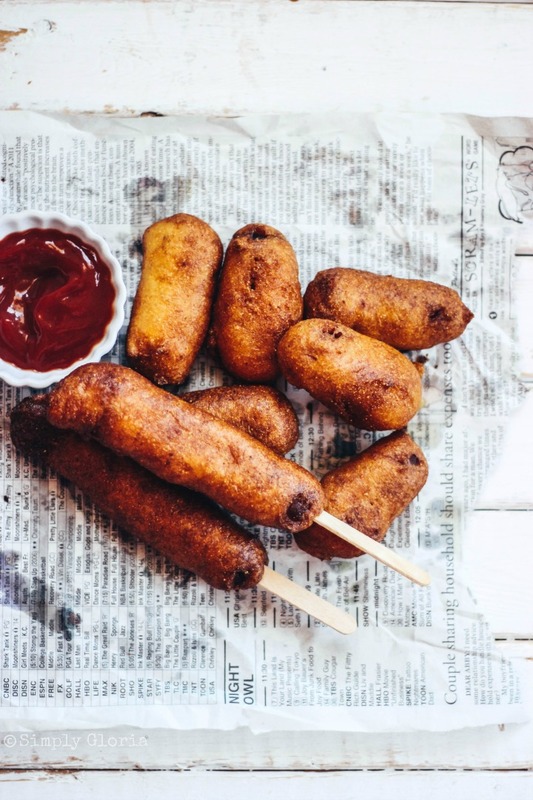 Besides getting to pick your favorite hot dogs for this simple recipe, you’ll love how (your favorite) hot dogs hug around a tangy buttermilk batter with a whole lot of cornmeal crunch! Go ahead, eat these deep-fried golden pillows with or without a skewer stick thingy… foot longs or minis… sauce dunked OR just savor the taste of the drenched hot dog by themselves. 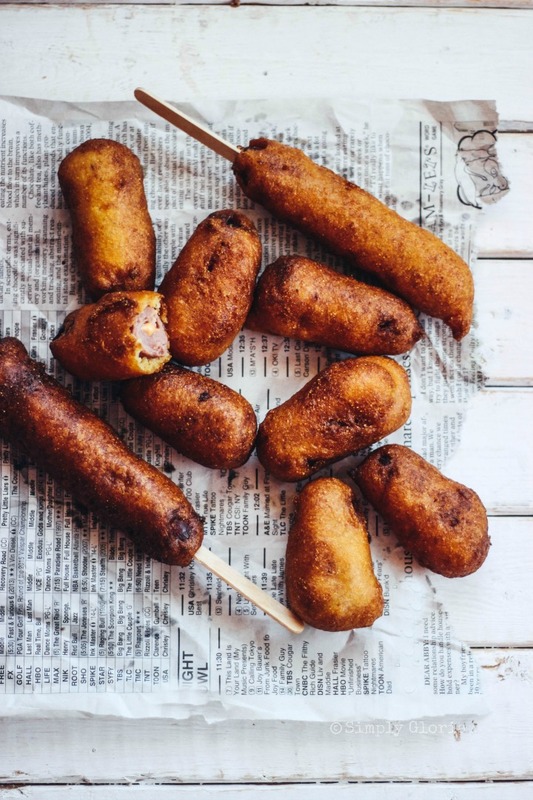 Either way, you’re going to love deep-frying (and eating) these homemade corn dogs! 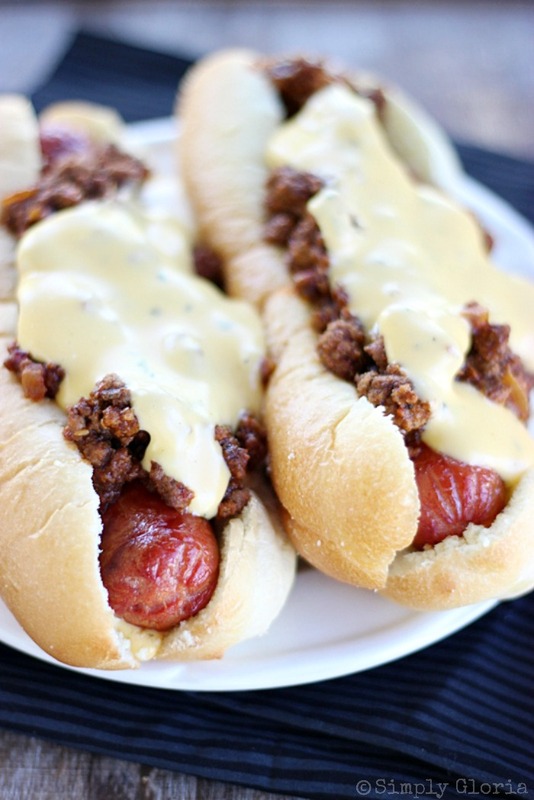 If you’ve got some extra hot dogs left, think about maybe smothering them with Sloppy Joes and creamy garlicky cheese sauce! 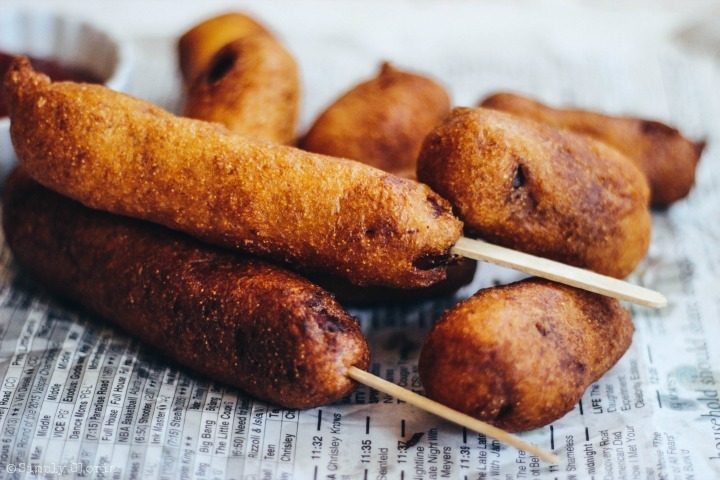 Here’s the recipe for these delicious Homemade Corn Dogs! It makes enough for the whole family. Cut the hot dogs into halves before dunking them in the decadent buttermilk batter and you’ll have enough for a crowd. Perfect for snack-size bites! Easy to make and delicious enough to devour! It makes enough for the whole family. Cut the hot dogs into halves before dunking them in the decadent buttermilk batter and you’ll have enough for a crowd. Perfect for snack-size bites! In a large mixing bowl, whisk together cornmeal, flour, baking powder, sugar, salt and paprika. In a liquid measuring cup, combine buttermilk and egg together. Pour into the dry ingredients and stir until all combined. Do not over mix the batter. Allow to rest for about 5 minutes. Drench each hot dog into the batter and drip off any excess. Gently place into the heated oil until golden brown. Turn and rotate with a slotted spoon or tongs, if needed. Only do a few at a time and do not over crowd the oil. Take out of the oil and place on paper towels to drain excess oil. 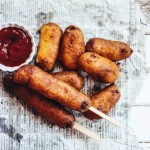 Psss… I’m sharing my Homemade Corn Dogs recipe with these link parties… come join me! This recipe was recently featured with Throwback Thursday! I love corn dogs at fair time. I’d love to make these once in a while for us. Homemade yum! Pinned & shared. Thanks for sharing at the Inspiration Spotlight party. These look so yummy. My nephews ( and my hubby) would love these! I need to make these ASAP! I haven’t had a corn dog is so long, but you’ve sparked a craving!! These look so delish! I’ve been wanting to make homemade corn dogs for the longest time but haven’t gotten the chance yet. Your recipe is pusing me to now! Thank you for sharing with us at Throwback Thursday, this will be featured at tomorrows party! 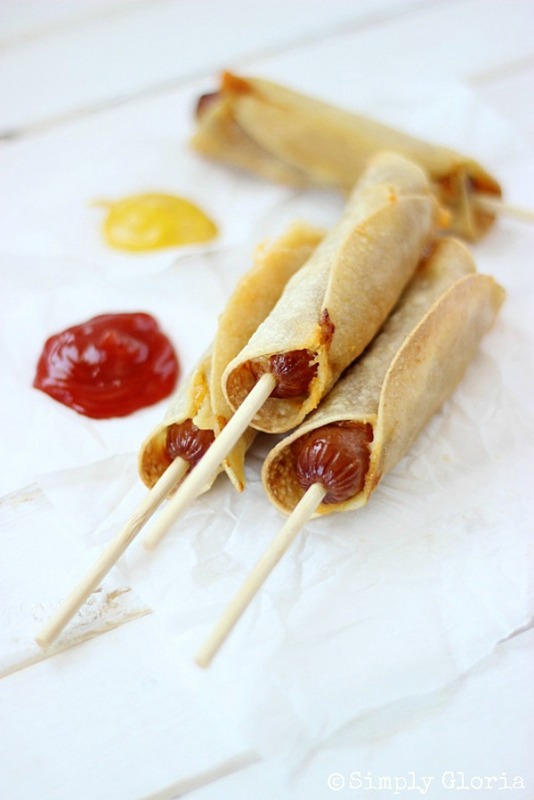 What a great idea to make your own corn dogs, these look amazing! Thanks for sharing at What’d You Do This Weekend? !